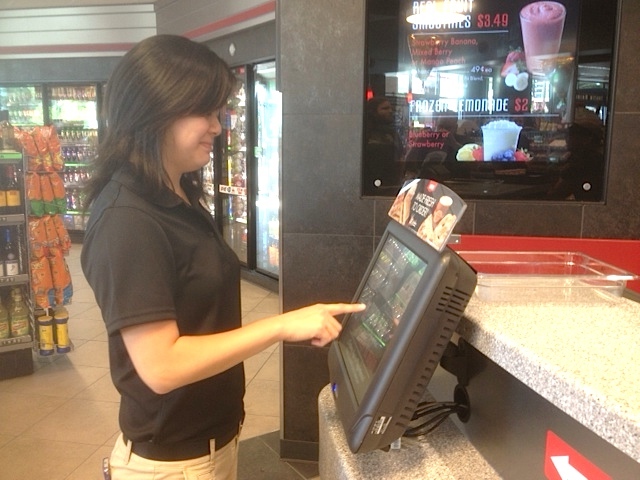 QuikTrip gas stations have always had good grab-and-go sandwiches and beverages. Now they are officially rolling out their QT Kitchens with fresh made-to-order food and specialty drinks in several St. Louis locations. 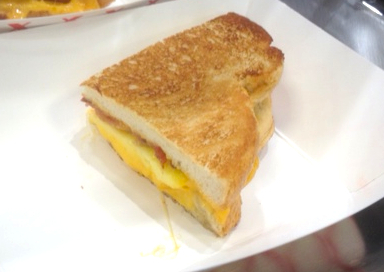 The QT Kitchens offer fresh-made food from 6:00 a.m. to 10:00 p.m. 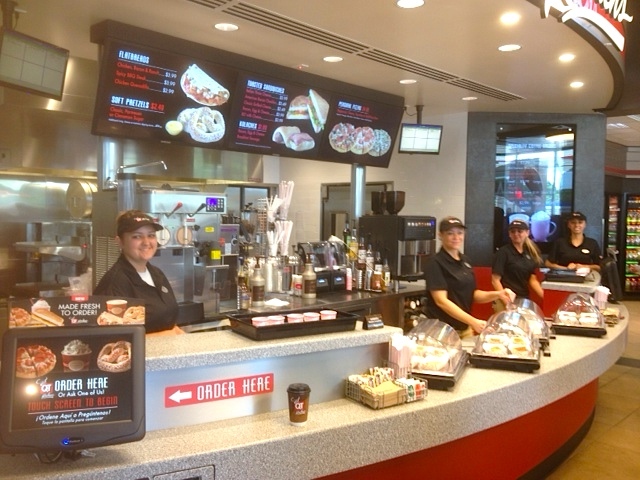 The newest of the 31 QT’s in St. Louis with QT Kitchens is the one at 9404 Page Avenue in Overland, QuikTrip’s 700th store, which opens tomorrow (Thursday, June 26). Opening day festivities begin with a ribbon cutting at 7:00 a.m. Special appearances Thursday include a Budweiser Clydesdale from 10:00 a.m. to noon, Fredbird from 1:00 p.m. to 3:00 p.m. and Rams cheerleaders from 3:00 p.m. to 5:00 p.m.
On Thursday evening (June 26) from 7:00 p.m. to 8:00 p.m, ALL metro St. Louis QuikTrip locations will offer one free Big Q drink to customers who stop in. 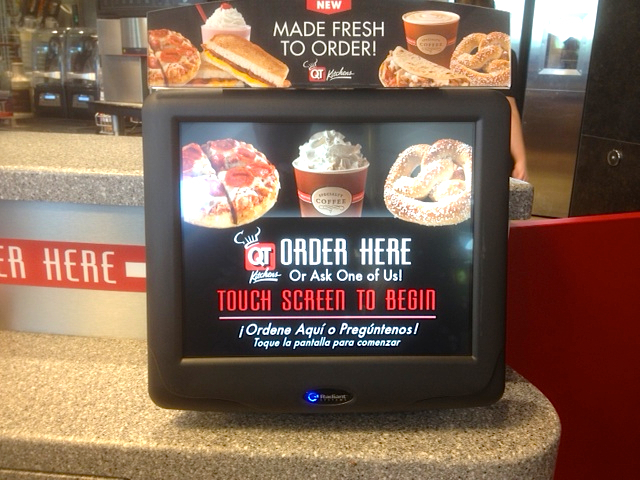 The QT Kitchens feature touch screens which allow you to order breakfast sandwiches, kolaches, flatbreads, personal pizzas, pretzels, specialty coffee drinks, smoothies, frozen lemonade and other frozen treats (including milk shakes). When you finish ordering, take your printed ticket to the main counter to pay while your food is being prepared for pickup. 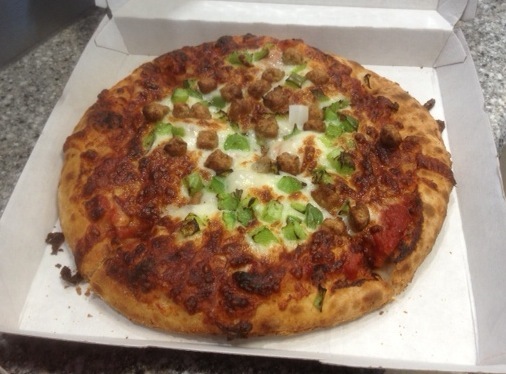 The Personal Pizza choices include Pepperoni, Cheese, Supreme or Build-Your-Own. They’re right at 8 inches in diameter. 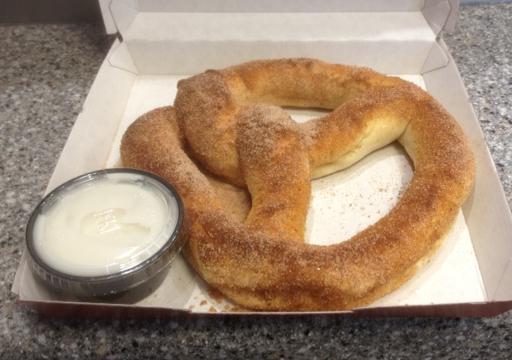 Along with the classic Soft Pretzel, QT Kitchens have a Cinnamon Sugar Pretzel (with sugary icing) and a Parmesan Pretzel. It’s good to see a place where you stop in mainly for gas, snacks, soda and beer step up their game to provide something above and beyond the norm. QT will be retrofitting more of their St. Louis locations between now and year’s end to include QT Kitchens. The newest St. Louis area QuikTrip—a bigger “generation 3” QT store—is located one-half mile west of the Inner Belt (I-170) on the southwest corner of Page and Woodson. This entry was posted in St. Louis Food and Drink News and tagged Budweiser Clydesdale, Flatbreads, Fredbird, Kolaches, Overland, Page Avenue, Personal Pizza, QT Kitchens, QuikTrip, Rams Cheerleaders, touch screen. Bookmark the permalink. ← Are You Ready For Some Futbol? 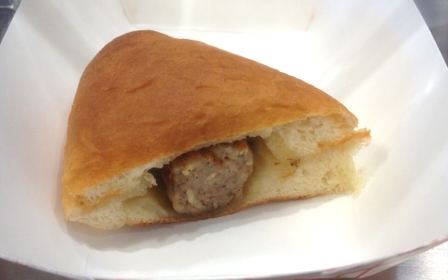 QT’s in Phoenix stopped selling the sausage kolache. I would love to get my hands and mouth on some. Is there a way I can order bunch? My brother would be so pleased as it was his Saturday morning ritual. Thanks.